Are you ready for our next 1970's era MULTI-YEAR REUNION? It will be our 40th! The Class of 1973 will host this gala event. Plans are in the making so if you want to be involved in the planning, please email us! Please let us know if your address, phone number, email or name changes by contacting Katrinka Fortmann Maddox and be sure to put THS UPDATE in the subject line of your email - we get a lot of spam. If you've moved in the past 5-10 years, we may not have your contact info. If your information changes, we would be most appreciative if you let us know. We don't want to lose any Titans! How about looking over the list of MISSING TITANS ? If you have any contact information on our missing alumni, please email Katrinka Fortmann Maddox with the info and don't forget to place THS UPDATE in the subject line of your email. Bookmark this page and come back often for updates! Mary Maduros Coulter, Dyanne Edmondson Wallace, Katrinka Fortmann Maddox, Durance Lowendick, Brent Gilroy, Adrienne Lloyd Eisner, Jay Lovelady, Phillip Merritt, Karen Griffin Dean, Mike Witcher, Kevin Miller, and Byron & Kandy Davidson. All members have worked hard to make each reunion a grand event! Thank you all!!! Byron Davidson is our reunion photographer. He took pictures for the Towers Class of 1973's 20th, 25th, 30th, 35th etc. reunions. If you are interested in ordering pictures from any of these memorable events, contact Byron directly. He has all negatives on file. 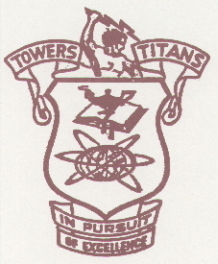 CURRENT AND PAST THS MULTI-YEAR REUNION LINKS and PICTURES! Do you need to update your snail mail address, phone/cell number and/or email address for future reunion contact? Send your updated info to Katrinka Fortmann Maddox at (be sure to put THS UPDATE in the subject line of your email): twinkmaddox@hotmail.com.